Now You Can Double the Life of your Carpet and Fabrics with PUREGUARD! Do you live in a house that has constant chaos? Did you just have a baby that will be running around in the near future? Or maybe you love having pets? Maybe you simply live by yourself, but you frequently spill things? If any of these sound like you, you would benefit from PureGuard! This product is DFE Certified (Designed For Environment) as a safe alternative to other toxic products. Everything used in this product is 100% safe for kids, pets & people with sensitivities. PureGuard is an all natural stain repellent & durable water repellent applied to fabric, furniture & carpets to protect them from stains. Your carpeting originally comes from the manufacturer with a protectant applied, but over time this protectant gets worn off. 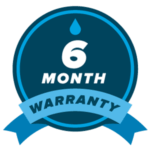 We give you the option to protect your investment & re-apply the protectant, which doubles the life of your carpet. Best part is, PureGuard will not change the look, feel or breathability of your carpets, upholstery or anything else we may apply it too. 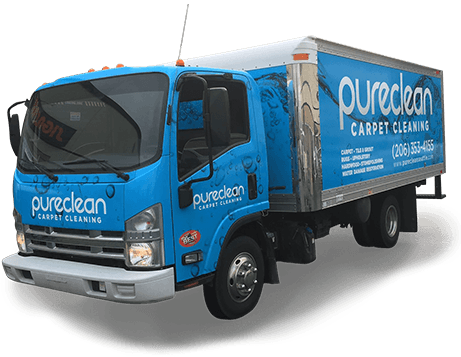 If you have your carpets cleaned & protected by a Healthy Home Expert at Pure Clean Carpet Cleaning, we warrant that for 6 months from the date of the protector application, if the treated carpet becomes stained from water or oil-based stains occurring during normal household use & these stains cannot be removed with the bottle of PureTreat we leave you, call us out there to remove the stain for you, FREE of charge. Exclusions: Normal or general soiling from everyday use. Carpets used in rental or commercial properties. Stains caused by bleach, corrosives, acne medicines, dyes, inks, abuse, vandalism or disasters such as, floods, fire or other acts of God. Pets or other stains of repetitive nature. Watch this Short Demonstration Video by Ben! Please subscribe to our YouTube Channel, like us on FaceBook or follow us on Twitter!